Samsung, Microsoft, Apple, and Google are all developing wearable technologies. Already mobile web development is seeing tremendous growth, but wearable tech is likely to increase the trend into the foreseeable future. Miami web development teams are preparing for new web layouts and programming that will fit the curve of the future, whether it be Google Glass or a Microsoft watch peripheral. 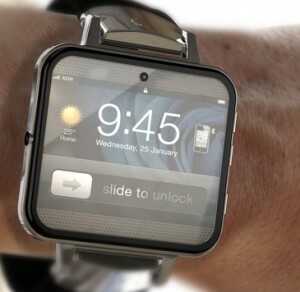 Possible i-Watch design and Miami web development. 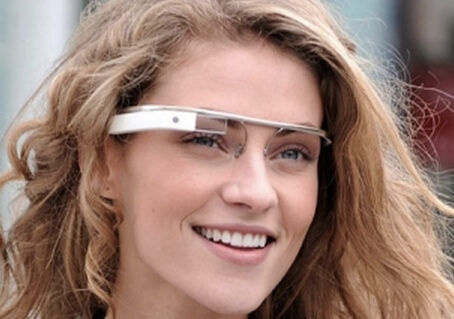 The one confirmed, developed, and tested wearable tech device headed into homes and business is Google Glass. With release dates posited as soon as the end of this year, Google Glass developers are already toying around with the technology. GPS, browsing, chatting, social media, and online businesses are all areas tested by developers who got their hands on a pair of glasses from Google. The devices offer a new interface for interaction at a large scale level. Whether or not the device is ready for small business development is questionable, but the future of the device is likely to affect businesses in a variety of ways. Quick reviews, website visits while entering a store, and constant social media connection make Google Glass an interesting addition to the tech landscape. Remember when everyone wore a watch? Those days might be coming back, and not just for those interested in style. Microsoft, Apple, Samsung, and LG are all experimenting and developing watches that integrate with phones and tablets for a consistent mobile experience. Updates, browsing, phone access, possibly even projection technology could all be integrated into such technology. Miami web development is likely to see a demand for sites that are optimized with easily accessible data for wearable tech like computer-based watches. Purchase alerts, coupons, and social media updates could be quickly integrated into such wearable technology. Web developers who have years of experience in adapting to new technologies will provide programming to meet the challenges that come with such technology. Wearable technology and constant connectedness is coming, at how web design will fit into that landscape is still to be seen. With the increased use of smartphones, mobile web design is essential. Wearable tech is coming, and with it a new journey for web development companies in Miami and around the globe.